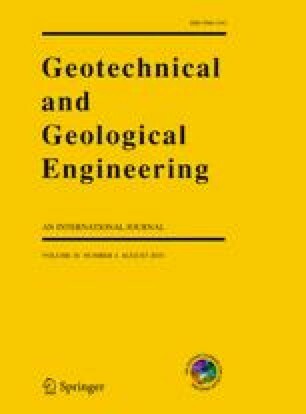 In this paper, based on the field test of No.S3012 working face of Shan Mushu Coal Mine in Sichuan Coal Group, monitoring the abutment pressure and gas drainage flow during the mining process, studying the change law of the abutment pressure and gas drainage flow of the coal seam, and using the numerical simulation method research on the evolution of abutment pressure and displacement of coal seam during the mining process. The results shown that: with the advance of coal mining face, the abutment pressure of coal seam can be divided into stress decreasing area, stress increasing area and original stress area, and the stress state of coal seam and the pore, crack structure and permeability of coal body are obviously changed. With the advance of the mining face, the abutment pressure in front and back of the coal mining face is the moving abutment pressure, and the coal mining face to be in the pressure relief area, the front abutment pressure peak value deep into the coal body 5–10 m, the influence scope reaches the front coal mining face to 90–100 m, this area is the stress increasing area. And the evolution law of the roof displacement of goaf is similar to the elliptical with the axial ratio changes, when the ratio is close to 1, the roof subsidence affected area is similar to the shape of “O”. This study was financially supported by the Study on Outburst Prevention and Roof Control Technology of “Three Soft” Thick Coal Seam in Synclinal Axis Project of Sichuan FuRong Group Industrial Co. Ltd (2017001). Dongming Zhang had the original idea for this study, all co-authors were involved in data analytics work, as well as Yushun Yang writing and revising all parts of this manuscript.